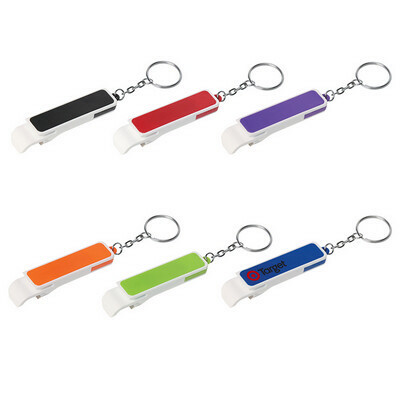 Features: This key chain comes with a slim bottle opener and a slide out phone stand. It is available in six colors. Price includes : 1 COLOUR 1 POSITION PRINT. Setup is included.